Post Fruity Pebbles has been my favorite cereal for as long as I can remember. I could eat it every morning for breakfast - I don’t, but I could. I recently got the craving for my favorite cereal and wanted an excuse to buy a box, so I went and checked out the Post cereal website to see if there were any recipes that call for Fruity Pebbles. 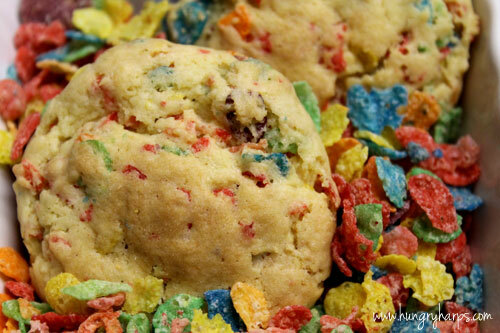 Not only did I discover that Post makes Marshmallow Pebbles cereal (I MUST find them and try them, soon) but I also found a recipe for Pebbles Cookie Crispies, cookies made with my favorite cereal! Thank you so much, Jessica! You are a Sweetie! 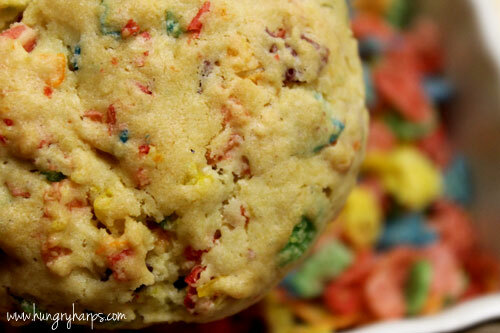 The cookies will be a big hit with my kids - they love Fruity Pebbles! I can't wait to receive the book! Hugs! Oohhh..I love Fruity Pebbles! How fun are these?!? That's genius! I loved Fruity Pebbles as a kid. I sometimes have it now for old time's sake.